Evangeline Logan wants a kiss. Not just any kiss—a “crimson kiss,” like the one in a romance novel she’s become obsessed with. But the path to perfection is paved with many bad kisses—the smash mouth, the ear licker, the “misser,” the tentative tight lipper. The phrase “I don’t kiss and tell” means nothing to the boys in her school. And worse: someone starts writing her name and number on bathroom walls. And worst of all: the boy she’s just kissed turns out to be her best friend’s new crush. 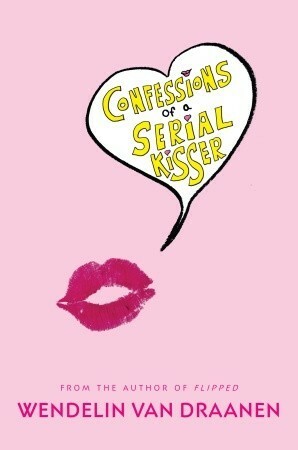 Kissing turns out to be way more complicated than the romance novels would have you believe. . . . I couldn’t put this novel down. From the first page, you’re drawn right into Evangeline’s life. Whether or not you’re interested in getting a heart racing, spark inducing, firework detonating kiss, this book is perfect. Evangeline is a bit lost, she wants to find something to make her feel like she’s truly living, and when she does, she puts all of herself into it. In order to do that, Evangeline makes herself edgy, changing her style, trying to stand out– something that most girls will experience at some point through high school. While Evangeline is busy searching for the crimson kiss she wants, she doesn’t stop to consider what that might do to others, just as most teenagers would do. I absolutely love how important music is to Evangeline and how much it shapes her, though there were a lot of times when I wondered if the album name and several song titles were listed as more of a word addition than a necessary part of the story. In the end, I absolutely loved this book and definitely recommend it to anyone who isn’t sure what they want, and knows that there must be something better out there for them. I’d also recommend this to anyone going through a dark time, needing something else to focus on. It’s flirty, it’s fun, and I give it five stars. 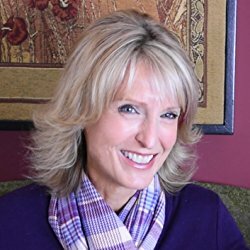 Wendelin Van Draanen has written more than thirty novels for young readers and teens. She is the author of the 18-book Edgar-winning Sammy Keyes mystery series, and wrote Flipped which was named a Top 100 Children’s Novel for the 21st Century by SLJ and became a Warner Brothers feature film in 2010. Her other stand-alone titles include The Secret Life of Lincoln Jones, Runaway, Confessions of a Serial Kisser, Swear to Howdy, and The Running Dream which was awarded ALA’s Schneider Family Award for its portrayal of the disability experience. Van Draanen has also created two four-book series for younger readers. The Shredderman books feature a boy who deals with a bully and received the Christopher Award for “affirming the highest values of the human spirit,” and The Gecko & Sticky books, which are fun read-alouds, perfect for reluctant readers. A classroom teacher for fifteen years, Van Draanen is married to Mark Huntley Parsons, also an author, and they have two sons.